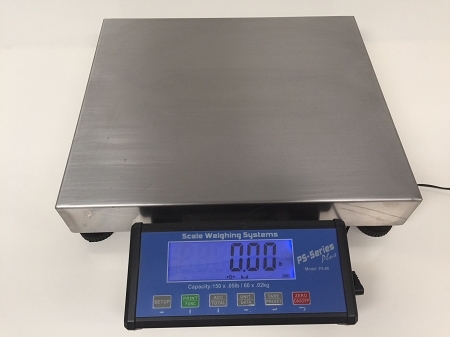 Scale Weighing Systems PS-60 Plus Shipping Scale is the perfect solution for all of your shipping and weighing needs. The PS-60 Plus is Legal for Trade (NTEP Approved) and has an Industrial Heavy Duty Cast Aluminum Base with a Stainless Steel Platter and connected to the Large Blue Back-Lit LCD Display that is made of a Heavy Duty Aluminum Alloy. No Plastic Here! The PS-60 Plus is Compatible with software from UPS, Fedex, PostalMate, IShip and others as well as most POS Systems. Serial and USB/Serial Ports are standard and the cables for each are included as well. Upgrade to the Economically Priced, Feature Rich Scale Weighing Systems PS-60 Plus today to save $$$ and do more !